Everyone wants to have a home that is envied by others, right? They want their home to be decorated beautifully and they want their friends and family to desire the decorations and furniture. There are some furniture pieces that every luxurious home has and if your home is missing them, you may want to consider heading to the local interior design store now. The bench seat is one that looks amazing and provides a dash of elegance in any room. While you may find that the bench is best suited for the foyer, you can also use it in a bedroom, near a nook, or in the sunroom. You can choose from an array of colors and style for your bench seating and your guests will LOVE it. Every home needs to have a side table next to the couch. Where else will you place the lamp and other beautiful decorations that bring the room together? Make sure that you choose a side table that is not overwhelming in size and one that matches the rest of your home’s décor. You can never go wrong with a tasteful side table. When you think pillows, what comes to mind? If you think of the pillows on your bed, you are a bit off on this one. Graphic and decoration pillows are the perfect accent to any room, especially ones where you do not want to have a bunch of decorations. You can choose from a variety of different colors, patterns, and styles. Who doesn’t love fresh flowers? Artificial flowers can look cheesy in a home, so you always want to opt-in for a live version. Of course, it may not make sense to have live flowers in your house every day, but you should have them around when you have guests. You can choose from seasonal varieties, but make sure they get enough light, so that they do not die off quickly. If you need help redecorating your home or adding statement pieces to it, the team at J. 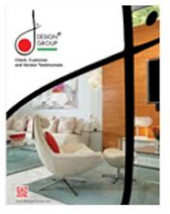 Design Group is ready to help. Contact us now for your consultation.